Glastonbury 1995. The main attraction, The Stone Roses, has cancelled. Rod Stewart isn�€�t available. To appease the 80 000 strong festival audience, an eternal underdog Pulp is called to fill in. Before the last chords of their last song, the anthemic song Common People, have faded out, the gig has been hailed as one of the milestones in the history of the legendary festival raising the band into the highest echelons of Britpop stardom. The outsiders had, at least momentarily, become mainstream. 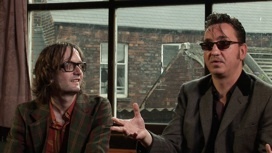 Eve Wood�€�s The Beat Is the Law is known as the official Pulp documentary that captures their eventful journey. The band cooperated with its making providing much of its rich material from interviews to home videos. Despite the band�€�s prominent role in the film and its making, The Beat Is the Law is much more than a tribute or a jarviscockerian nod to one of the all-time greats of British music. It tells the story of the entire influential and interesting Sheffield scene from the 1980s postpunk to house and finally to the prime of Britpop. The documentary is soundtracked by the social and economic realities and changes that surrounded the music. The thorough movie reveals the context that gave birth to the greatest pop music of its time. 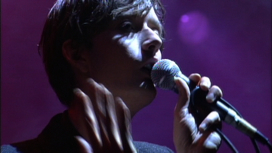 Get ready to �€�Sing along with the common people�€�!